The Bukharian Jewish Union hopes to represent young professionals in the community. QUEENS — A new group hopes to become a professional and social hub for young members of the Bukharian community in Forest Hills, Rego Park and beyond. The Bukharian Jewish Union was formed recently by a group of activists who said they wanted "to have a place for young professionals to come together." “There is no outlet in the community for Bukharian young professionals to — in a non-religious way — hang out and have different opportunities open to them," said David Aronov, 20, one of the founders, who works as a community liaison for Councilwoman Karen Koslowitz. 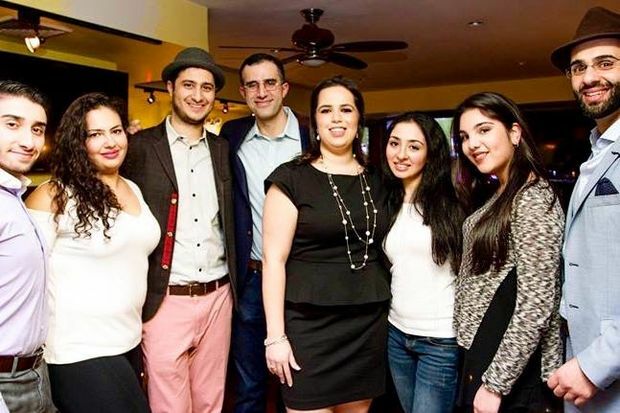 The group, who said young people in the community often feel disconnected from their parents' generation and “do not have a voice or platform to connect or network with each other," hopes to represent Bukharian Jews in their 20s and 30s and plans to organize networking and social events for them. Their recent comedy night event in a Forest Hills pub gathered more than 100 people, twice as many as they initially expected, the group said. In February, BJU is planning to organize a networking event “geared towards helping young professionals in the community who lost their job," said Manashe Khaimov, 29, a co-founder and community organizer. The group estimates that young adults comprise approximately one-third of about 60,000 Bukharian Jews, who immigrated to New York primarily from Tajikistan and Uzbekistan. Those interested in joining the group can reach out to its founders via BJU's Facebook page, the group said.